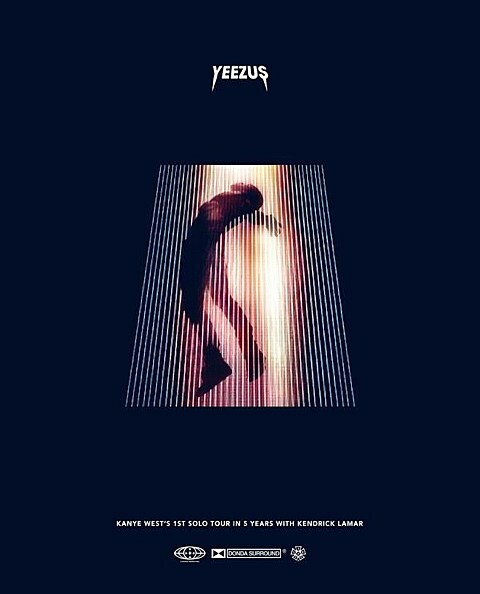 Kanye West has made recent festival appearances like NYC’s Governors Ball and has gone on a collaborative tour with Jay Z, but the man behind two of rap’s most acclaimed albums of the current decade hasn’t actually gone on a solo headlining tour in five years. That will change this year though, as he’s just announced North American dates spanning from October through December. Stacking the deck even more, another very exciting figure in today’s rap world, Kendrick Lamar (who also played Governors Ball), will be opening. The tour hits NYC for arena shows on November 19 at Barclays Center and November 23 at Madison Square Garden. Tickets for those shows go on sale Friday, September 13. All dates are listed below. Kendrick isn’t actually currently listed on either of the two NYC shows, but he will be in NYC to play Williamsburg Park on September 10 with Ab-Soul, Jay Rock, and Bishop Nehru. Tickets for that show are still available. Other related upcoming Barclays Center shows include Drake, Justin Timberlake, and Beyonce. Jay Z just announced a tour too, including two nights at Barclays Center. Meanwhile, there’s a bunch of other great upcoming hip hop shows happening in NYC.